The cocoa snorting trend has made its way from Europe to the US, where one company has just released their new "Coco Loko" powder. An Orlando-based company has just released a snortable chocolate compound called “Coco Loko” that is being marketed as a drug-free high, reports The Washington Post. This new product is just the latest development in a larger trend, which began in Europe, of snorting cocoa powder. The trend started in up-scale, experimental restaurants, where chefs were experimenting with new ways to derive pleasure from foods. These chefs soon discovered that snorting the powder caused a large rush of endorphins as well as a great deal of energy. In addition, the cocoa releases magnesium into your bloodstream, which relaxes your muscles. Soon, people began designing compounds including other substances like mint in order to create a more sniffable powder. They also created a plastic canister designed to send the compound into your nostrils. From there, the cocoa snorting craze quickly spread from those trendy restaurants to Berlin nightclubs, where partiers were searching for a unique drug experience. Promoters at various clubs began selling the powder to club goers. The trend then spread across clubs in continental Europe, before becoming popular in the UK. Now the chocolate snorting trend has made its way to the US, where one company, Legal Lean, has released Coco Loko, a cocoa powder mixed with energy supplements like taurine, guarana, and gingko biloba. Legal Lean had already created a relaxing nutrient beverage designed to simulate the experience of drinking codeine cough syrup. Coco Loko was designed by Legal Lean’s founder after he’d visited Europe and tried the cocoa snorting fad. The company hopes to use their connections with the local hip-hop community to promote their powder, which they promote as an alternative to illegal drugs. 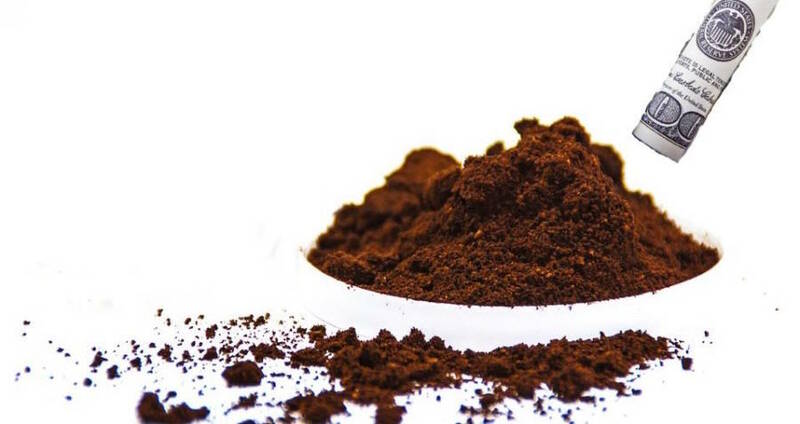 While snorting cocoa powder isn’t illegal, it’s not without its risks. Though you cannot overdose on chocolate, doctors do say there are some risks associated with the practice. For one, cocoa powder can easily fuse with the mucus in your nose and thus plug it up. All in all, it’s still much easier and safer to just continue to take your cocoa orally. Next, check out 21 fascinating chocolate facts that’ll leave you both hungry and amazed.